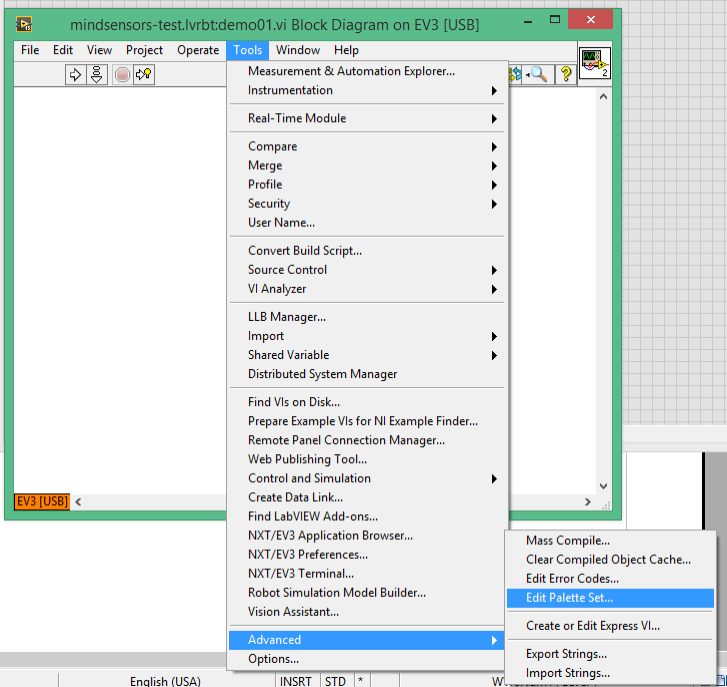 mindsensors' toolkit for LabVIEW 2015 works as an add-on palette, which you can import into your LabVIEW easily. 1. Download the toolkit zip file here. 2. Unzip the mindsensors-toolkit.zip in your Documents folder (or any other folder and make a note of where you unzipped it). 4. Give it a name, open the project and then continue to open it's Block Diagram. 8. 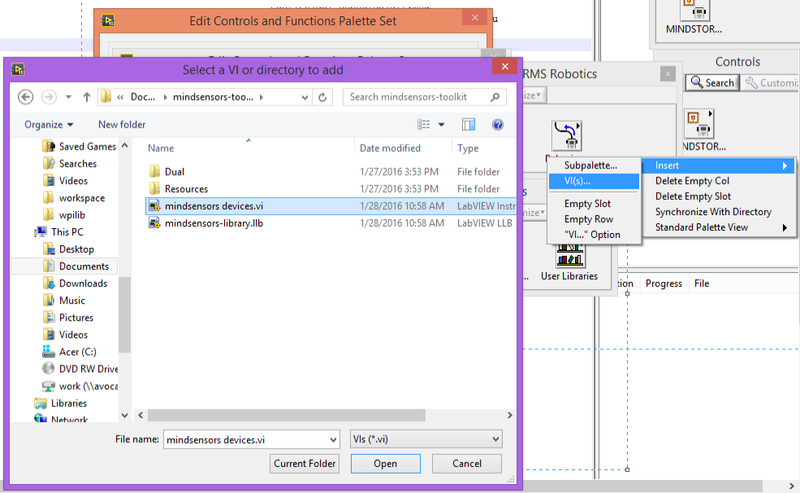 Select the “Insert ->VI(s)...' submenu and then browse to folder where you unzipped mindsensors-toolkit.zip, and select file 'mindsensors devices.vi' and click 'Open'. 9. 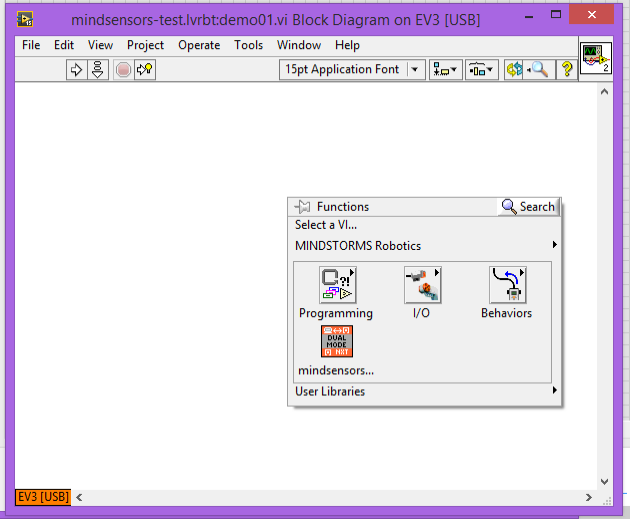 This will incorporate the mindsensors device palette in your LabVIEW. 10. Save the Palette changes; (accept any warning along the way, and continue). 12. 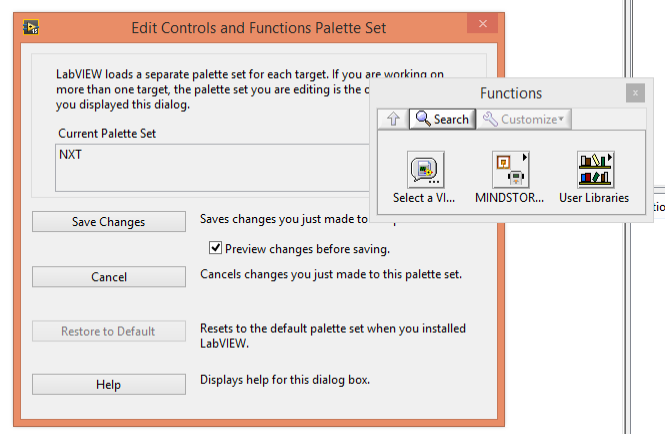 Click on the mindsensors palette to open it's contents. 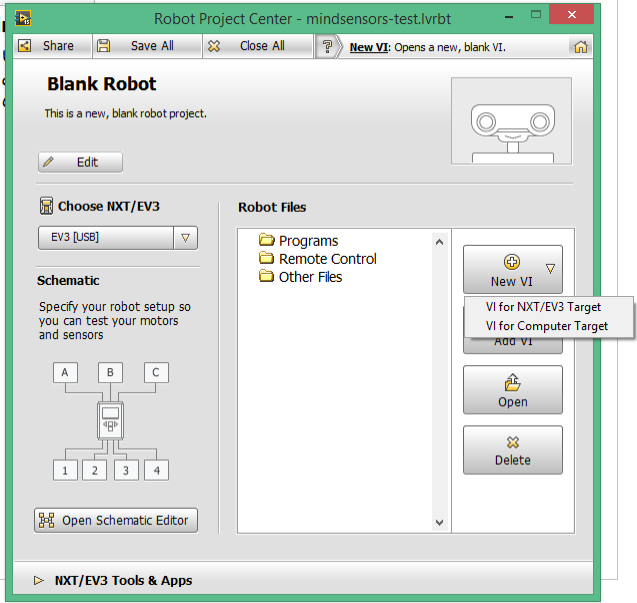 You should now be able to add the mindsensor's devices to your LabVIEW program. 13. 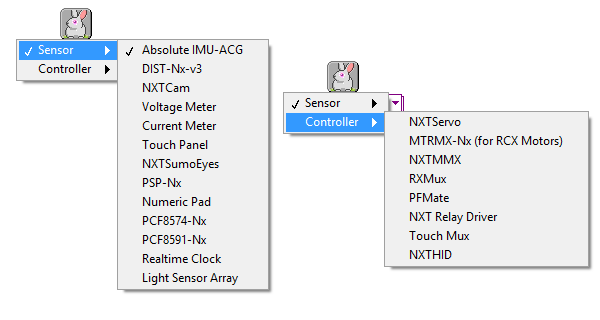 Bring the icon on your block diagram, and select the pull down to choose your desired device. 14. If you don't see your device in this list, let us know.